Experience truly unique experiences at Sands Resorts Cotai Strip Macao. No matter what you have in mind for your next event, we can make it happen at The Venetian Macao. With our vast repertoire of entertainment options, world-class venues, luxury shopping, restaurants and outstanding event staff, the only limit is your imagination. As a guest of Conrad Macao, you have access to a further six junior ballrooms and one grand ballroom spanning 13,500 sq. m available within Sands Cotai Central. 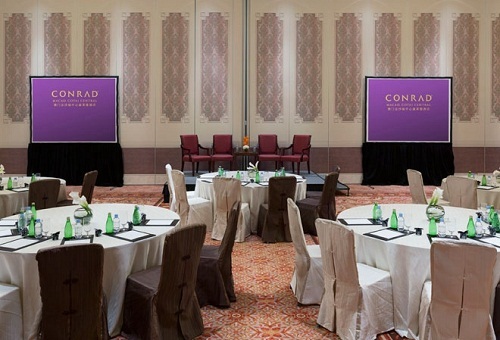 Conrad Macao welcomes any event - from large corporate conferences to small meetings. 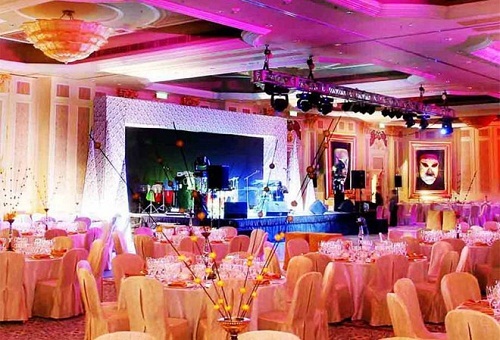 With the latest audio-visual facilities and technical expertise, you can rest assured that your events will run smoothly. Holiday Inn Macao Cotai Central offers you access to excellent meeting venues and facilities: 1,223 guestrooms, almost 20,000 sqm of flexible meeting space including 48 meeting rooms. Great-valued packages are available. Whether your stay is a quick one or you're in town for a little longer, for business or leisure, Sheraton Grand Macao Hotel, Cotai Central is the largest hotel in the city and Starwood's largest hotel worldwide. 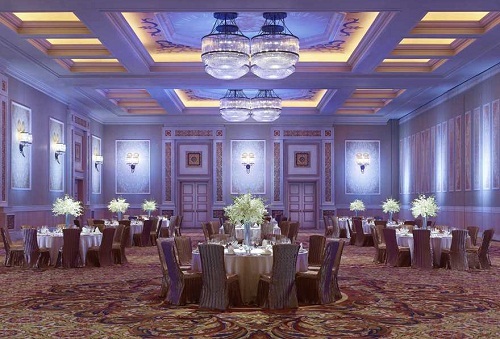 With the Kashgar Grand Ballroom and six junior ballrooms offering meeting space spanning over 15,000 sq.m plus access to an additional 5,000 sq.m within Sands Cotai Central. 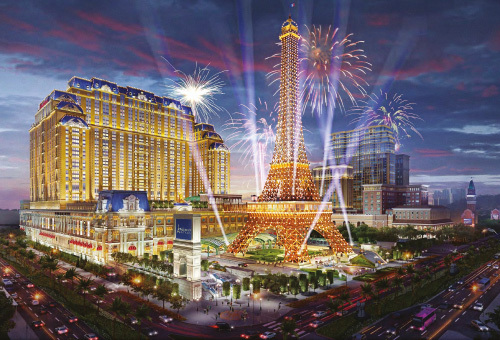 The Parisian Macao is the shimmering beacon of Sands® Resorts Cotai Strip Macao. 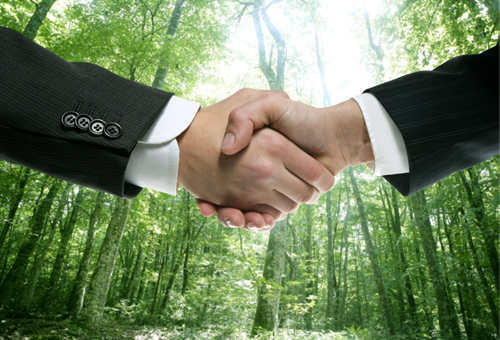 We not only offers stylish meetings solution but also the professional support, flexibility and breadth of facilities to ensure your event is flawless.